Designed by the design studio muoko Design, Side by Side's magnetic key house reliably holds your keys thanks to a magnet. Messy drawers and crowded keychains are now a thing of the past. The elegant house is made of wood with a roof of different colours. 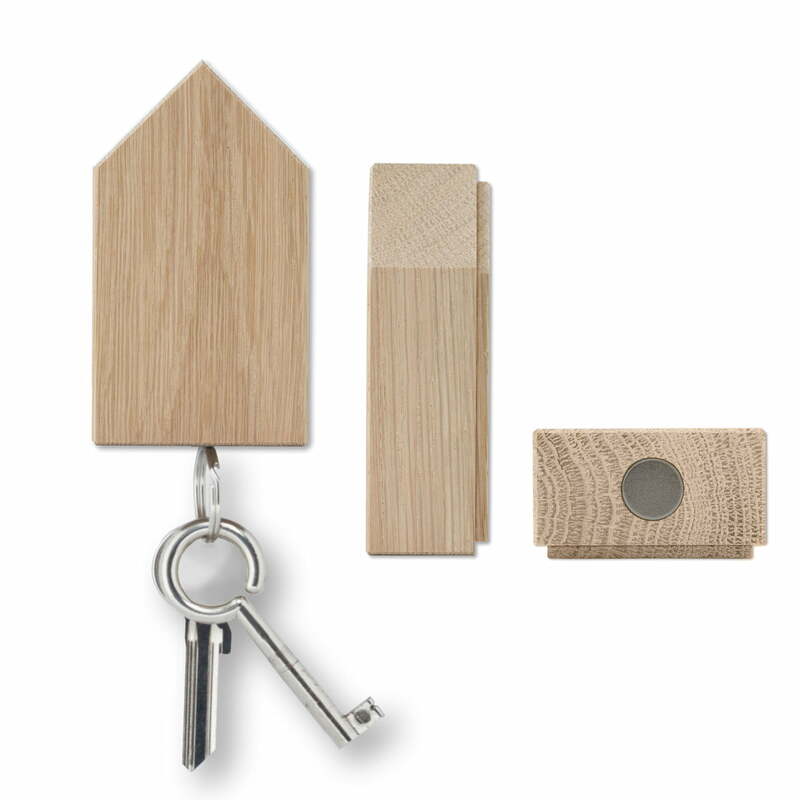 The bottom of the house features a magnet that reliably holds keys with a weight of up to 0.5 kg. The keychain simply needs a magnetic part which ensures that it is just as easily stuck onto the house, as it is taken off. Details The keys are not included in the delivery! 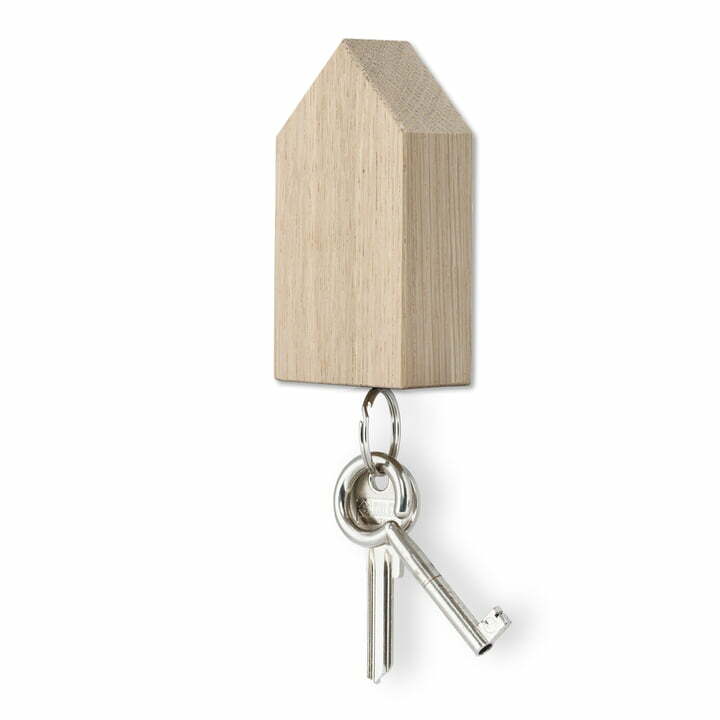 Isolated product image of the magnetic key house: The keychain simply needs a magnetic part which ensures that it is just as easily stuck onto the house, as it is taken off. Designed by the design studio muoko Design, Side by Side's Magnetic Key House reliably holds your keys thanks to a magnet. Say goodbye to messy drawers and crowded keychains.